Sometimes you want to purchase a domain that was registered already and now expired or going to expire soon. You can purchase these type of domains registered with GoDaddy in thei TDNAM marketplace. 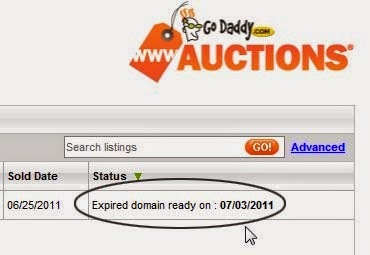 How to Buy Expired Domain Names from GoDaddy ? TDNAM.com is the world`s largest marketplace to buy or sell expired domains. Once someone fail to pay annual subscription of their domain then their domain go to TDNAM to sell as expired domain name. It means you an search for that domain and bid for that and get that in an auction. There is a 10$ service charge also if you buy a domain from there. and most of the domain come between 10$-20$. You can use specific keywords to find domains. It is preferred to buy .com domains rather than buying .net , .org or any other. because most people only like to go to .com domains. Buy only those domains that are easy to remember , branded and easy to spell. Domain names just need to be simple no matter if they don't make any sense. Try to buy domains not more tha 7 characters.